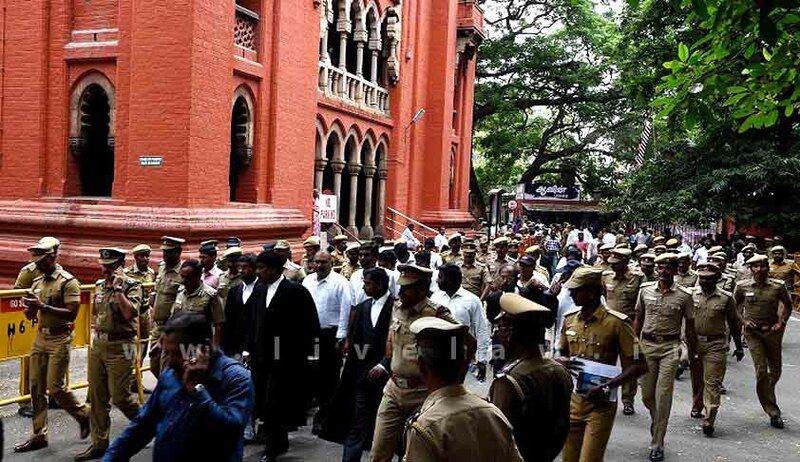 The Chief Justice of Madras High Court has reportedly assured the Bar Council of Tamil Nadu and Puducherry that no action would be taken against advocates in furtherance of the Advocates Act, till a decision is taken on the recommendations put forth by the Bar Associations. As per a BCTP release, the High Court has invited suggestions from all Bar Associations, regarding the changes made to the Advocates Act. These suggestions need to be submitted to BCTP by June 17. These would then be placed before the High Court rule Committee. The release had further stated that the BCI Chairman has requested reconsideration of the amendments and has appealed to all to resolve any issues pertaining to the rules, by way of dialogue. Meanwhile, the Bar Council of India on Wednesday directed the State Bar Council to initiate action against those responsible for the rally held on June 6. BCI Chairman Mr. Mannan Kumar Mishra expressed disappointment over the course of protest adopted by the Advocates, opining that they should have written to the Bar Council instead. Mr. Mishra also blamed the Bar leaders for not putting forth their views at meetings held in connection with the framing of rules. Madras High Court had recently introduced new sets of disciplinary rules for the Advocates through an amendment, enabling it to debar lawyers who indulge in objectionable behavior. In a notification published on 20th May 2016, new Rules 14A, 14B, 14C and 14D have been added to the existing Rules under Advocates Act.